Sony OLED TV deal: AF8/A8F drops to new low price | What Hi-Fi? There's never a bad time to buy a shiny new OLED TV but if you've got your eye on a Sony OLED, then now is certainly a good time. 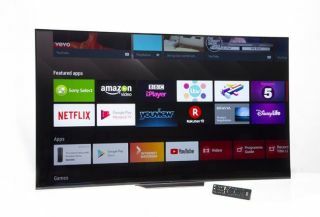 Sony's cheapest 4K OLED TV range from 2018, the AF8/A8F, is currently even cheaper, making this 65-inch TVs something of a bargain. When we reviewed the KD-65AF8, we heralded its detailed pictures, impressive sound, deep OLED blacks and smooth handling of motion. There's a full suite of streaming apps, myriad connections and the Acoustic Surface technology which turns the whole TV panel into a set of speakers. And now you can make a solid saving on the Sony KD-65AF8/XBR65A8F.